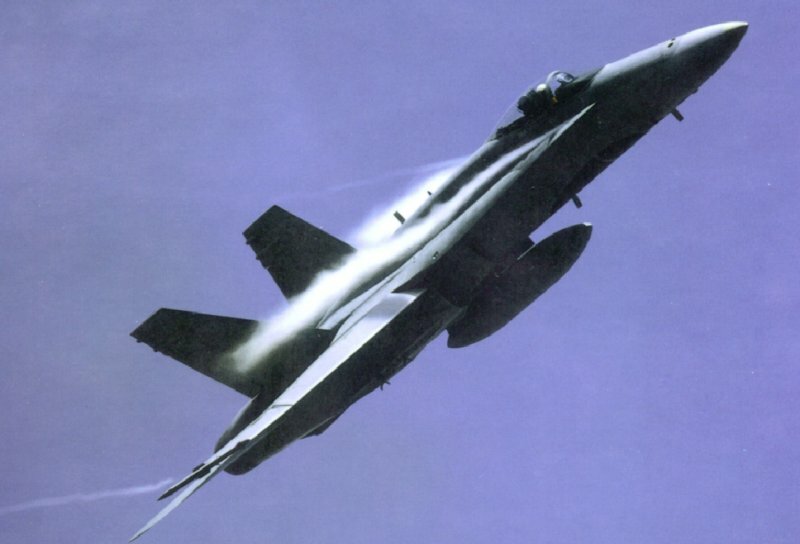 The McDonnell Douglas F/A-18 Hornet traces its direct ancestry to the Northrop Cobra, a twin engine multimission fighter design developed for the export market in the late 1960s. The Cobra was never built in this form. In 1975 the Navy was directed by Congress to base the VFAX on either the YF-16 or YF-17 designs. Two of the companies having a major interest in the VFAX, which was redesignated the Navy Air Combat Fighter, paired with the F-16/17 builders; neither of the latter had experience in producing Navy carrier fighters. Vought as a prime contractor teamed with General Dynamics on a single-engined F-16 derivative, while McDonnell Douglas became the prime, paired with Northrop, on an F-17 derivative. The formidable task of converting the land-based YF-17 lightweight day fighter into an all-weather fighter-attack aircraft capable of carrier operations with heavy ordnance loads required significant changes from the earlier configuration. Structural strengthening and a new landing gear design were required for catapult launches and arrested land-ings. The aircraft gross weight rapidly grew from 23,000 lb for the YF-17 to a projected weight over 33,000 lb. The required approach speeds for carrier landings resulted in modifications to the wing and leading-edge extension (LEX). surfaces of the YF-17 configuration to provide more lift. Changes were made to the aircraft configuration. The geometric shape of the YF-17 LEX was extended farther forward on the fuselage and the plan view of the LEX was modified to produce additional lift while retaining the good high-angle-of-attack characteristics exhibited by the YF-17. The deflections of the wing leading- and trailing-edge flaps were increased and the ailerons were programmed to droop in low-speed flight to augment lift. Finally, a "snag" or discontinuity was added to the leading edges of both the wing and horizontal tails to provide more lift. The F/A-18 full-scale development program began in early 1976, and the first flight was made in November 1978. By November 1980, the Navy had received all 11 development aircraft and 4 of the 9 fiscal year 1979 (pilot production) aircraft. The Navy expected to have initial operational capability in December 1982 and carrier deployment in 1985. The number of F/A-18s planned for procurement each fiscal year has changed frequently due to Department of Defense (DOD), Presidential, and congressional decisions affecting the program. In assessing the F/A-18’s operational suitability, the Navy used contractor support which hindered the realism of the test agency’s test results. Using contractor support for the F/A-18, maintenance and logistic support was a test limitation in assessing its operational suitability. The contractor used equipment, procedures, transportation, stocking, and response systems not fully representative of fleet level maintenance and supply responsiveness. These maintenance and support limitations precluded a full evaluation of F/A-18 availability and limited the evaluation of logistic supportability to merely an assessment of trends. More than 2 years after the activation of the three Marine F/A-18 squadrons, contractor support for maintaining the system was still being used extensively by Navy and Marme field units. Field officials said the need for contractor support has resulted from inadequate in-house capability which was attributed primarily to delivery delays of automatic test equipment and associated test program sets. One of the recommen dations made in the report was to expedite the development of automatic equipment to allow speedy repair of avionics. Intermediate maintenance is normally a base level responsibility and is done by designated activities in direct support of user organizations. Assigned work includes calibrating, repairing, or replacing damaged or unserviceable parts, components, or assemblies; modifying material; and providing technical assistance to user organizations.